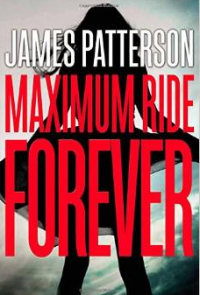 Maximum Ride Forever - Jess Loves to Read! I don't understand why be upset about a book coming out? Why take the time to write a review of a book you haven't read in a series you claim not to like? And after all that bitching you still read it? first of all, James Patterson must be doing something right. secondly, all these people must have way too much time on their hands. This is the first review I've written on here, bc all the other ones from people that hadn't even read it yet wrote confused me. No, it wasn't as good as the first books, but it did wrap everything up. He did drag it out a bit, but overall, I really liked the series!